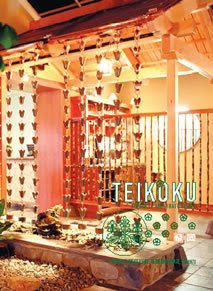 Teikoku Restaurant, sitting just outside Philadelphia, is fast becoming my favorite dining spot in the known Universe. I’m not a food reviewer, so I’m not going to try to do justice to the stellar dishes they whipped up for their last food & wine tasting event. 08 Arabella Sauvignon Blanc (W. Cape, SA): Tropical fruit dominates even over the acidity. Bit too much bod for lil’ ol’ me but it’s cheap! 07 Banyan Viognier Madera (CA): Fat & oily, with a crazy banana nose that’s all over the place. Not “pure” by any stretch – but damn fun! 07 Hyatt Chardonnay (Rattlesnake Hills, WA): Vanilla syrup & pears, good balance, but a tad astringent on the finish. Decent pick, nice $. 06 Hobo Zinfandel (Dry Creek Valley, CA): Ripe as hell but red berries, licorice, & pepper keep things interesting. Good pick for BBQ beef. along with the innovative food pairings from Chef Takao Iinuma to complement them! 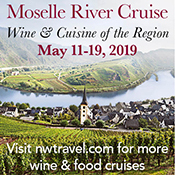 For reservations, contact Christine Olmsted @ 610-644-8270. And finally, from the “Damn, wish I had a tech support staff!” Department: I’m way sorry for the lack of video feed from last night’s live twitter tasting. It worked when we tested it several times earlier in the week, but at show time there was no sound. Since we were right in the thick of the event kick-off, I decided to abandon video rather than try to address it then and there (which would have been a big distraction during the tasting – not to mention during my dinner!). I’ll make sure it’s working before the next event! Then Dale Cruse, Lenn and Randy all came on with video too, but I was the only one who could be heard. There must be something screwy with Yahoo rather than your laptop! Tonight, let's all raise a glass of leftovers from last night and toast to BinEndsWine.com going video for the next tasting & forcing us to use an alternative solution!